A decision to lease or buy real estate can have a long-lasting economic impact upon a business and its owners. Many real estate loans and commercial leases require the personal guaranty of the owners of the business. 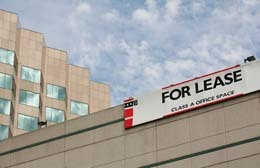 A long-term lease at an excessive rental rate, or which does not meet the company's long-term needs, can spell disaster. The purchase of real estate which cannot be utilized or developed as planned can also lead to financial hardship. Leases, subleases, and sale agreements can be costly if the contracts require representations and warranties which cannot be met, or if adequate protections as to payment and performance are not contained in the documents.